It is interesting how the arguments against commercial mining come down to an outcry against “mining centralisation”. All things in life come from balance. In the commonly used image listed as Fig 1 below, we see what people like to have as a concept of Bitcoin. Unfortunately, it is also wrong. In the paper, “on Red Balloons and Bitcoin” , The authors provide proof of the theorem stated as “Suppose that H ≥ 3. There is no Sybil-proof reward scheme in which information propagation and no duplication are dominant strategy for all nodes at depth 3 or less.” And go on to develop a Hybrid propagation scheme. 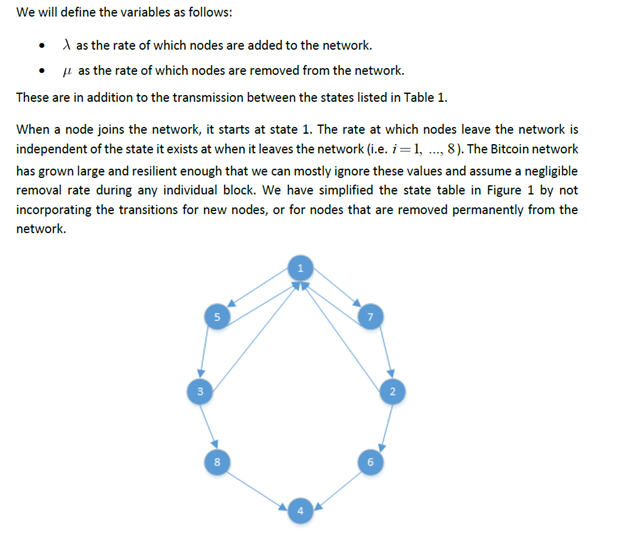 The authors did not test the Bitcoin network and as most do, assumed that it is a distributed mesh as we see in Fig 1 (c). In that chart, the distance is an average with d>5 for only a few hops and nodes. 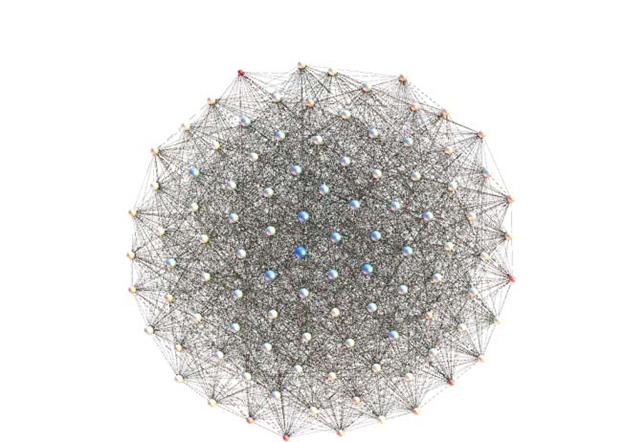 None of these researchers have studied Bitcoin enough to see that it is not one of these, but rather forms a Small World  Network (Fig. 2). In this, as the hosts become more connected, they can come closer and closer to forming a Semi-complete graph. In a complete graph, all nodes are connected to each other. This precludes the use of small systems (such as Raspberry Pi’s) as the systems need to be able to efficiently send to many other systems at once. This is how Bitcoin was designed. Bitcoin nodes remember the IP addresses that they had previously connected to and exchange node lists. This means that they do not act as a pure Random Graph. Bitcoin nodes collect and remember other nodes. As such, a more powerful system will always be able to handle a larger number of connections and allows growth to a stage that is closer to a complete graph. This improves efficiency as well as making the network more secure. In any of the networks in Fig 1, the network is not secure and can easily be Sybiled or attacked. Even a distributed network can be attacked. This may have multiple paths, but a single well-connected Sybil can then act as several nodes and delay or subvert transactional propagation. Fig 2: Bitcoin — None of the above! This is not feasible in Bitcoin. No node can be too connected and hence a Sybil in the idea with large well-connected nodes always acts after the other parts of the network. We see this as a competing epidemic model (Fig 3). 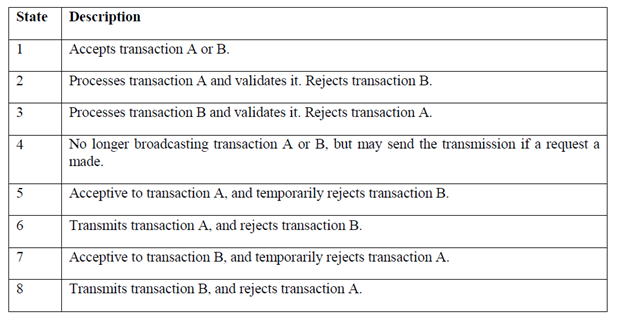 As a node receives a transaction, it is now immune from a competing transaction (such as a double spend or competing block). We can use this to model how a system functions and this has been a common area of research for decades in epidemiology. We see the states in Bitcoin propagation diagrammatically in Fig 5. GPUs, CPUs and a desire of many small systems. 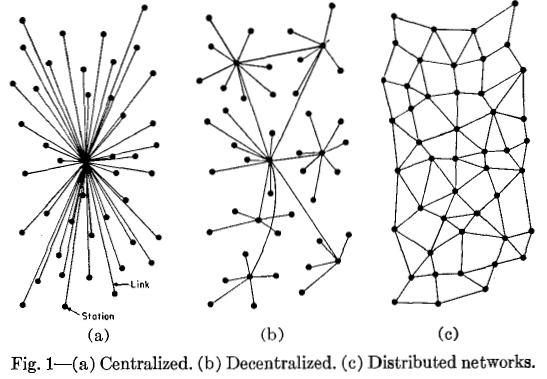 The trouble with this aim to have a distributed network and not to allow the growth of connectivity is that it results in a less secure system. 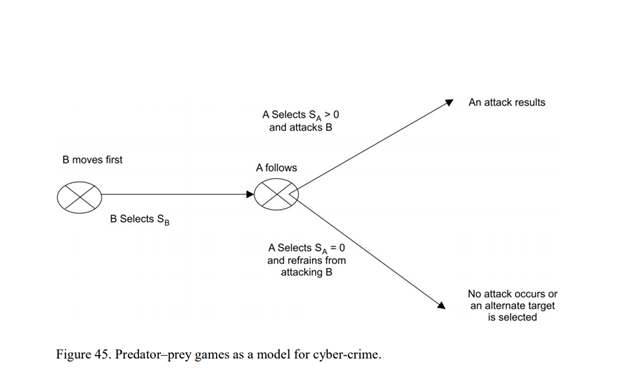 In research that I presented in 2011/2012 (http://ro.ecu.edu.au/ism/149/) we demonstrated that the creation of criminal botnets is an economic function. A single modern ASIC system (Antminer s9) is equal in power to approximately 50,000 to 75,000 individual computers mining bitcoin in power. · A CPU has around 15 MHash of power (this ranges a lot with the power of the many chipsets). · A GPU can obtain 750 MHash, again with variations and at low rates for many cards. · The Antminer s9 has a hash rate of 12.93TH/s -+ 7%. This is close to 1,000,000 times the power of a CPU and still many times that of a GPU. The result is that A single small farm of ASIC based systems will out compete even the biggest of criminal Botnets. This is just a quickly thrown together post about some research we are conducting, but the truth is that Bitcoin scales best as it was designed, a system of competition between companies that seek to obtain the most efficient use of the power and equipment and not a swarm of individuals who are less likely to care for the security of the network. As was demonstrated in a 2010/2011 research publication that is incorporated into chapter 6 of my Thesis below, criminal behaviour can be modelled using Predator / Prey games. If we make the system more expensive to attack, criminal groups rationally act to find other targets. In allowing GPU mining, Bitcoin becomes easy to attack. With Botnets of up to 50 million compromised hosts in size, the reality is that Bitcoin is most secure when it is not based on home user systems for mining. This research and the related papers are due to be presented in full in early 2018. Babaioff, M., Dobzinski, S., Oren, S., and Zohar, A. 2011. On bitcoin and red balloons (full version). Available online: http://research.microsoft.com/apps/pubs/?id=156072q.